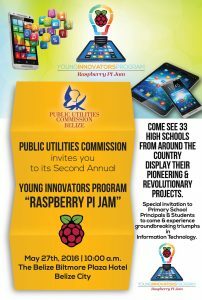 Belize open source will be represented at the Public Utilities Commission sponsored Raspberry Pi Jam on May 27, 2016 at the Belize Bitlmore Plaza Hotel 10AM. All members are invited to attend this event that promotes FLOSS Hardware and software. Belize open source will demo Asterisk PBX on a Raspberry pi.